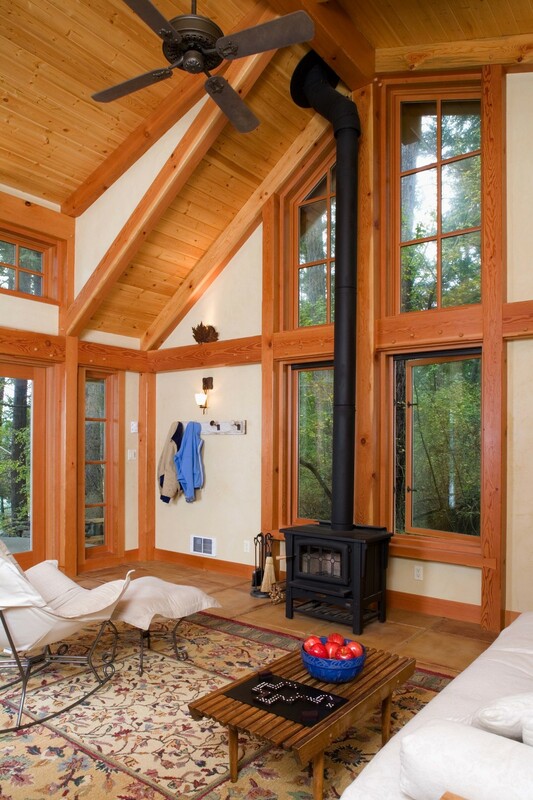 This simple 700 square foot couples' retreat was built on the footprint of an existing cabin. It consists of a single bedroom and bathroom plus a loft accessed by a space saving ship's ladder. Reuse of the existing foundation and the cabins small size allowed the owner's to use quality materials throughout.